Many different styles of transportating people and goods co-exist. With the coming of the new paved roads, motorcycles have become popular as a means of transport not only for the people but for goods as well. There are very few traditional Chagga huts that remain standing today. Most younger Chaggas have never experienced living in these huts, though for some in their sixties and definitely those in their seventies associate these huts with memories of their childhood. Few traditional huts that are standing today may have been built for tourist purposes or by those who are keen to preserve the Chagga culture. 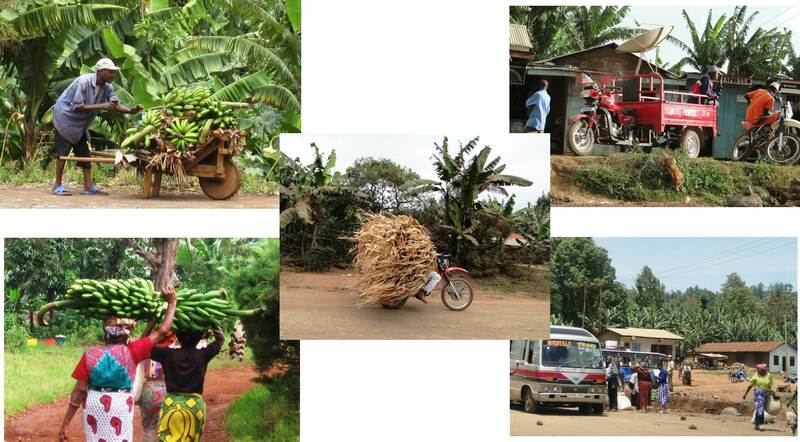 There is evidence of an uplifting of the standard of living in Mwika. Mud and wattle houses are rare. The greater majority of houses are of cement blocks. Corrugated ironsheet (bati) is the favoured choice for roofing. Neighbourhoods are not segregated by income. Modern, prosperous houses stand side by side with more modest dwellings and neighbourliness is shared all around. Better houses tend to hide themselves behind walls and gates. Only those houses that could be caught on camera from the road are featured here. Mwika on the upper slopes of Kilimanjaro, Mwika North Ward, enjoys good rainfalls and is lush with greenery. Mwika in the lower plains toward Himo, comprising of a large part of Mwika South Ward, get less rain and is prone to drought. Coffe has been the cash crop on the mountain since the early 1900s. But its importance is being replaced by food crops — bananas, avocados, beans and corn. Most farmers like to keep a few cows, goats, pigs and even chicken for manure and additional benefit they bring from milk, meats and eggs. Milk production is becoming popular with introduction of high yielding hybrid heiffers to Mwika under MWIDEFU dairy proejct and ready outlet for milk at the Kondiki milk processing plant. 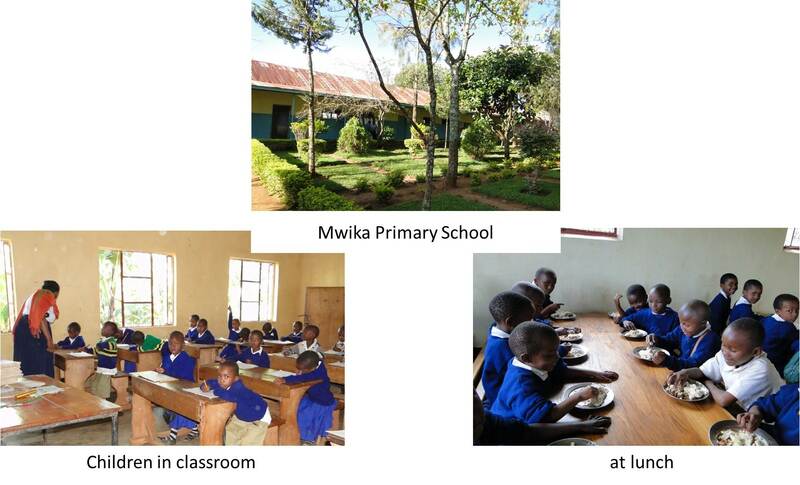 Mwika has 24 government primary schools, 4 community/government secondary schools, 1 parochial secondary school. Average size of primary schools is 350 for Mwika North Ward (10 schools) and 250 for Mwika South Ward (14 schools). Average size of secondary schools is 1070 for Mwika North (2 secondary schools) and 620 for Mwika South (3 secondary schools). There are 7,200 primary school students and 4,000 secondary school students. Madukani, at the junction where the road from Himo meets the road that skirts around the slope from Marangu to Rombo and beyond, is the business centre of Mwika. The name itself signifies “where the shops are.” It is also at Madukani that the market (open Tuesdays and Fridays) is located. But throughout neighbourhoods there are small kiosks that serve as convenience stores.